If you are like me, you will hear the word facial & go soft & squidgy inside but equally alert as if a dog hears the word walkies. I love delivering treatments around the face, shoulders, neck & scalp, as these areas often hold a lot of tension. 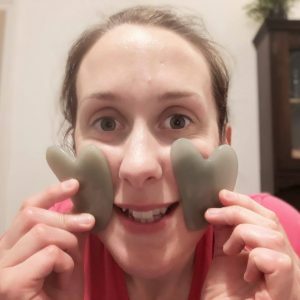 Also our lush faces might not get the right sort of care in our daily life, internal criticism of what isn’t perfect about our appearance, a quick cleanse & slap on some moisturiser, but at Caring For You, I love to totally consider supporting you fully & bringing a nurturing treatment to those with self care at heart. As with all my treatments my main passion & focus is to support with complete relaxation to all aspects of you. This supports you to recharge fully so you can leave looking & feeling relaxed & refreshed. Massage helps to boost circulation, creating fresh blood supply with oxygen & other nutrients that are carried in the blood, so the face so it brightens up, literally. Gua Sha jade stone massage benefits include improves microcirculation by up to 400 per cent, tones & smoothes the skin, boosts collagen, combats pigmentation, dark circles & puffy eyes, defines jawlines & even decongests the sinuses. 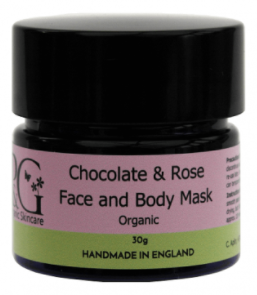 Chocolate and rose face mask – it contains cacao, rose powder, rose clay & rose geranium on your face to leave you feeling totally spoilt, the smell is sooooo good too. Massage to your choice of shoulders, scalp or feet, it is so nourishing to have extra time to care for you fully. No nonsense eco-friendly products with zero waste, made using sustainable packaging & products made in the UK. A deeper cleanse than perhaps what we make time for at home – a cleansing facial will help your skin get rid of oil buildup, toxins & dirt from your everyday environment. A balancing facial oil working its way into your skin as the muscles in your face relax & soften, ingredients include Jojoba Oil, Hazelnut geranium & cypress oils. To be gone with you dead skin cells! 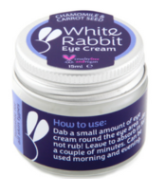 This will also make your skin look & feel softer & smoother, making your makeup blend easier too. I offer time out for you and a health check to see how you are doing with all aspects of life. I love to focus on wellness support generally as sometimes we get so busy we forget about a little self care. The Luxury Facial was just that. What a beautiful treatment! My skin looks amazing and I still smell delicious! For more info on what a luxury facial includes see here. To book a luxury facial contact me here. Breakdown of Caring For You Treatments and which one is best for you. Find your symptom below & click on the box for the treatment solution. Do you have poor posture? A misalignment? Feel out of sorts? Bowen Technique can realign fascia & muscles which improves posture & provides free alignment. It is great at healing all aspects of you so you feel relaxed & restored. Do you have a old or new injury that is restricting you? Bowen Technique can help support healing of past/new injuries and release any trauma stored. It can free up tension by igniting the bodies own self healing mechanism. Do you have back pain, sciatica, frozen shoulder, neck restrictions, pelvic tilt, joint or muscle restriction? Bowen Technique usually provides benefits in as quick as 1-3 sessions with a week apart, then top up treatments may be required as and when. Are you a trader/labourer/have a physical job that is affecting your health? Bowen Technique is a effective treatment to support the bodies own healing mechanism. It has quick results, it is very relaxing & can free up pain/restriction so you can continue working again. Read more & book a Bowen Technique session here. Do you have tense shoulders? Muscular aches? Do you love warmth? Hot stone massage can soothe tension and provide a deep heat to bust out knots. Is your problem area your back? You want it massaged but you also love your feet being touched? Read more & book a Hot Stone Massage here. I want pampering from top to toe. Spoil me please. Its my birthday. I'm a diva. My skin needs some support. Luxury Facial is the ultimate yummy smelling organic relaxing pampering time for your skin, also your shoulders, neck, scalp & feet all get massaged whoo! Read more & book a Luxury Facial here. I have a decision to make. I feel stuck or stagnant. I want some gentle but powerful healing. I want some crystals on me yeah! Reiki a powerful non-touch/crystal healing session to cleanse and recharge you on all levels. If you like your feet being touched try Reikiology with reflexology to your feet too, also working your chakra points at the same time. Read more & book a Reiki session here. Maternity Reflexology can support you & your growing baby throughout the stages of pregnancy. I have poor digestion. I only want my feet touched. I love reflexology. Reflexology is very relaxing and non-invasive treatment. It allows the body to work in a balance by activating reflexes on your tootsies. Read more & book a Reflexology session here. I am very happy to discuss any treatment options with you too when you book a consultation, so don’t sweat it if your not sure what treatment to book. As always my aim is to create/adapt to making bespoke treatments just for you and your specific needs. A – AROMATHERAPY I love essential oils, their unique aroma & powerful health properties. I create a tailor made blend & place them in an oil to soothe your aches & pains with the benefits of massage or place them in a moisturiser. B – BOWEN TECHNIQUE an amazing realignment technique to support posture, free up tension, muscular restrictions, support healing injuries & pain reduction. It is very relaxing & can support with stress & wellbeing too. C – CARING my biggest strength, I love caring for you & I am totally here to support you with any health & wellbeing needs you have. D – DETOX Bowen Technique can support to detox & de-stress. Reflexology can ease up uric acid & calcium deposits, which are natural waste products in the forms of crystals which are deposited on the feet. E – EARS support our respiratory system, hearing & balance. Bowen can ease congestion symptoms & relieve blocked sinuses with amazing lymphatic drainage moves around the ear, jaw, forehead & neck. 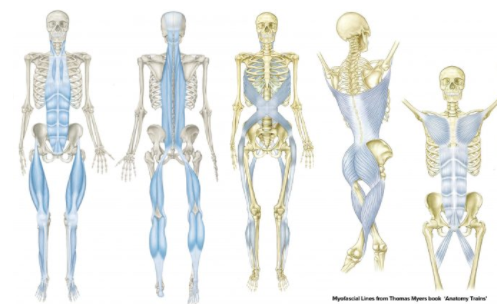 F – FASCIA an amazing web like substance that surrounds all our muscles, ligaments, cells & organs. Bowen works over fascia, when a move is made, the stretch receptors send impulses to the brain which communicates to the specific muscles, resetting them to an original blueprint & providing realignment. G – GALLBLADDER in Bowen Technique there is direct move over this super fat digesting organ, freeing up restriction & supporting with gallstones. I also support with diet/lifestyle tips such as reducing a fatty diet. H – HOT STONES they are hot & get in nice & deep to the muscles. They also are great for supporting with detoxing the body. I – INSOMNIA which happens to all of us & I would love to support you to ensure you have a nice bedtime routine. 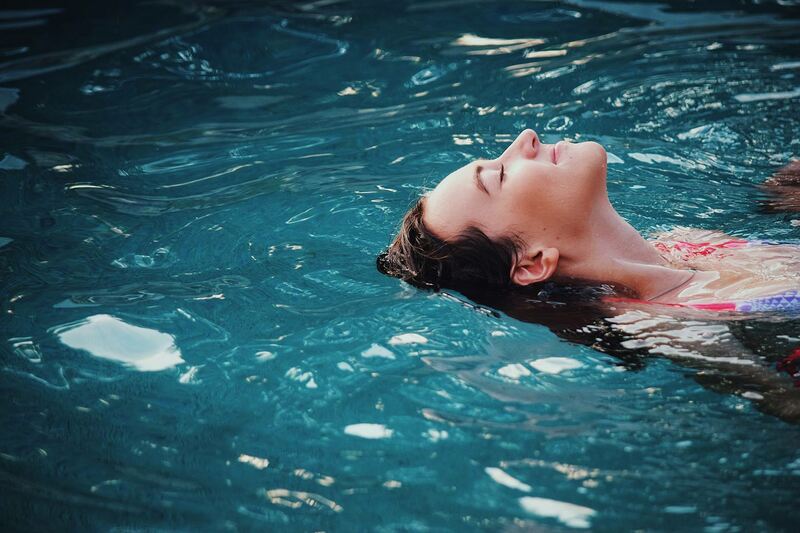 A relaxing treatment can ensure your body is in a balanced state. J – JOJOBA OIL a great oil for oily skin. My fav is to combine it with Patchouli & Geranium, which balances the natural sebum production that the skin produces. K – KIDNEYS Bowen Technique has an ace Kidney procedure which works directly over this incredible filtering organ to support with stress reduction & lower back pain. Reflexology can work over the Kidney/adrenal glands to support you working at your best. L – LIVER get your Milk Thistle in pre & post drinking to cleanse your liver with any toxins. PS don’t drink more, this is a support as well as moderate drinking & drinking water into between alcoholic drinks. M – MOISTURISE no matter what treatment you book in for, I can check out your skin & create a tailor homemade natural moisturiser for you with SPF 25 in whooo, go skin go! N – NATURAL, O ORGANIC OIL whoo natural and organic oil benefiting our skin, reducing the impact on our liver has in detoxing products & supporting the environment. Orange flower facial oil, get a load of that rubbed into your skin smells so good! P – PELVIS often this can be misaligned from poor posture, accident/injury or even childbirth. This often goes hand in hand with jaw misalignment & lower back pain. Bowen technique has a great move which can support alignment, also benefiting your knees & ankles too, as well as supporting the lymphatic system to flow freely. Q – QUALITY from the towels, the treatment bed, the music you hear, the products you smell, the colour scheme, the health questions asked, the picture on the ceiling as you like back, all is considered to support you fully & provide a quality treatment & experience. 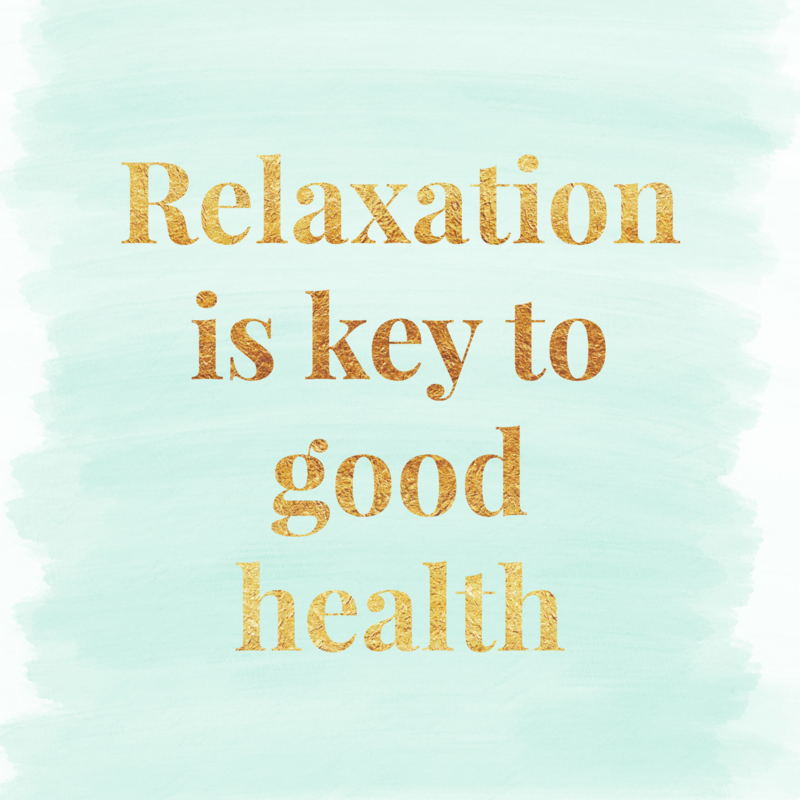 R – RELAXATION plays an important part in health & wellbeing, being able to relax with all thoughts and emotions is something that has greatly enhanced my health. Bright.how is an amazing support network, which I highly recommend. Relaxation & taking time out for you to support your body is such a support to you and to everyone else. S – SUPPORT I am here to support you with your health & wellbeing using all my tips and tricks that I know. It might be Bowen Technique, Aromatherapy, Hot Stones, Reflexology, Reiki, or a Luxury Facial. T – TMJ an amazing move in Bowen Technique that can support with pre/post dental surgery, dizziness, colds/respiratory problems, releasing stress in jaw, providing realignment in the body, especially to your pelvis, as the jaw is connected to the pelvis via fascia. U – U BE YOU I love to encourage you to be as you are & focus on your loves. W – WATER which hydrates fascia to stay fluid & provide mobility, often after a treatment you feel thirsty because it’s like having a workout & allows toxins stored in the body to be eliminated. Your body loses up to 2 litres of H20 a day with very little expenditure, so that’s a reason to drink H20. X – XMAS GIFTS get your gifts here, for you or a friend, go on treat yourself & de-stress. Y – YOU I love caring for you & tailoring the treatment to you so you can receive the best care to support your health. Z – ZZZ relaxing treatments aid the body being in a balance & support you to sleep better. Contact me here to book a treatment. When it’s your period do you wear yellow shorts and run along the beach singing Bodyform like this happy lady? It’s not my favourite thing to do to be honest and in actual fact it took me 16 years to get down with menstruating! I’ve now got my free period app to tell me when my cycle is going to start or thereabouts. You can also track your PMS too! Why was it always such a surprise before? The recurring man hatred (soz boys), the food cravings for buckets of food, the tears, now I can prepare a little and take it easy on myself. I have my trusty Mooncup and reusable bamboo sanitary pads, so there is no plastic, no waste, no chemicals used, so no skin irritation, plus they are already in my cupboard. 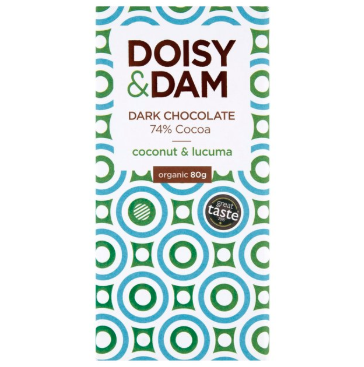 Not forgetting my fav delicious bar of chocolate Doisy & Dam, yummy nom nom. I naturally crave more sugars around this time, so I trust in going with what feels most nourishing. This choccie has superfoods in and less refined sugar than your average bar. It’s also organic, with packaging that can be recycled. Whoopers all round! I have blocked out a day of less work or no work from my calendar during my first day of my cycle, as the flow can be heavy then and so I can prioritise resting. Taking steps to take the best care of ourselves is a brilliant support & demonstration for everyone. 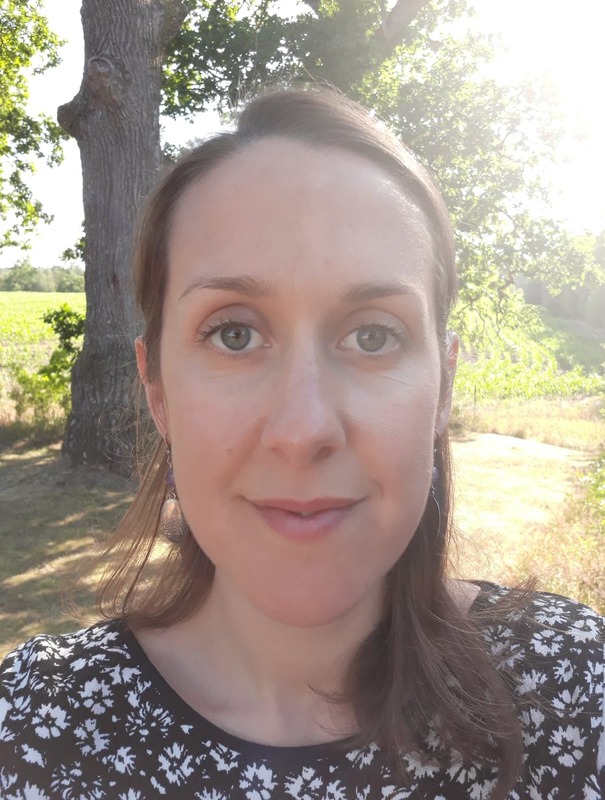 Well done to Bex Baxter for implementing the Period Policy amongst her team at work, so you can be entitled to a period leave designed to support you in your work place, see an article here on further info. The menstrual cycle is a series of natural processes that your body goes through. During your period cycle, your hormone levels rise and fall, depending on which stage of your menstrual cycle you are in. These hormones can also affect your mood and level of energy. The length of a menstrual cycle can vary from 23 days to 35 days. All bodies are different, so the length of your own menstrual cycle may be shorter or longer and not all menstrual cycles are regular. Of course its different for every female but I found it so helpful to support myself during this time rather than it being disempowering to be seen as a weak female, but to honour that we are humans and are doing our best. Agnus Castus is a great herbal tincture at supporting regularity of periods. I also found seeing a Homeopath to support my general well being, taking care with the foods I eat and moderate exercise a great way to support periods not being as heavy. I love sharing my caring tips with you. Bowen is a soft tissue technique where the therapist makes a rolling move over precise points of the body, working over muscles, fascia, ligaments and nerves. This sends neurological impulses to the brain, creating a vibrational pattern that re-aligns the muscular-skeletal system, improving muscle flexibility, movement and posture. Bowen can relax and relieve stress, as it works mainly via the autonomic nervous system, therefore producing good results by penetrating to a deep cellular level. It is also balancing to all the systems of the body. What to expect from a bowen treatment? Practitioners treat clients either wearing thin clothes or underwear, you will be covered using towel technique similar to massage at all times. Benefits can be seen from 1 to 3 sessions, but relief can be felt immediately. There is NO forceful manipulation. Bowen ‘asks’ the body to recognise and make the changes it requires and over the week the body responds to the treatment and readjusts safely according to its needs. Pauses are inserted between sets of moves as it allows the brain time to integrate and process the treatment. The therapist may stay in the room or leave the room to reduce interference with the healing process. It is mostly very relaxing experience, you may encoutner a number of sensations and reactions during the treatment, such as changes in pain, movement of pain, feeling a change in symptoms, change in temperature, it is often a unique experience for each person. A Bowen treatment aims to help the body as a whole – helping bring the body back into balance, while also addressing the injury/pain site. Posture and compensatory patterns are also assessed, to ensure the problem has a higher chance of staying resolved. 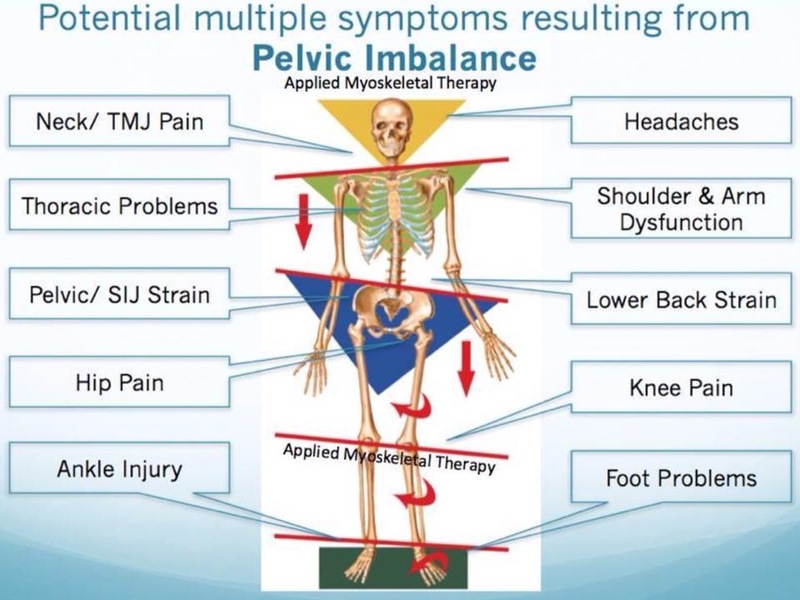 An example below of side effects when the pelvis is out of alignment. This treatment is perfect for those that have musculoskeletal discomfort, misalignments, exercise/sports injury, a previous injury that never fully resolved, tension, want some support with your posture and in need of some relaxation too! Bowen can be supportive for all, from newborns up to the elderly. Treatments available within Easton, Bristol and Bridport, Dorset at £35 for 1 hour. See also my Top Ten Benefits of Bowen blog too. Do something you actually enjoy, working out doesn’t need to look like pain and misery e.g. running for hours on the treadmill, do what is practical and will fit into your life, maybe a 7 minute workout each morning would work for you, or a Pilates class? There are many around and I personally love Sean Vigue pilates, he is on YouTube, so you just need a mat. I also love weight training with dumbbells to strengthen my muscles, I do a lot of massage so this helps to keep me strong & prevents injury. What about swimming, Kundalini Yoga or Hula Hooping!? Food can nourish body, mind & soul and different foods can support you at different times depending on what your body needs. There seems to be great awareness about the importance of eating for nutrients, it makes sense that each meal is full of goodies your body needs to heal & repair. I always say go with what you see you need to eat, if you listen to your body it will tell you. If you are like me and get hungry quickly, I do like to prepare a little with meal plans and snacks as this can support blood sugar levels. If you notice some foods don’t agree with you, test it out by not eating them for a few weeks and see how you respond, even better go and get some intolerance testing done here is a great lady I know which can help with that. I love juicing, my favourite is apple, carrot & ginger, I also love raw choccie occasionally, here is my fav, yum yum! How many hours a week, a month, a year do we spend doing the same actions repeatedly at work? If you are used to staring at a screen, give yourself little eye breaks every so often, by looking away into the distance, hopefully there will be something nice to look at too! 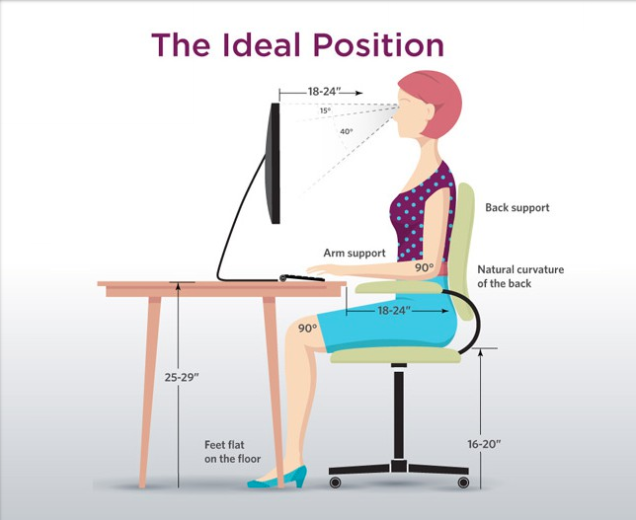 Below is a suggested desk height posture, I use a portable adjustable laptop stand, but there are fixed stands available too. You can also get an iPad stand & a phone stand to save holding the item, its way more relaxing just try it! An ergonomic mouse really supports my wrists and a good chair is a great help too, here are some supportive chair options. I love Wifi and the benefits of the internet & I am often seen with at least two devices! Yet I also give myself down time away from the screen, this can look like doing something else that you love, maybe going for a walk by the sea. There is this idea that Wifi rays can not be so good for us and we do not really know the long term side effects of living with Wifi. The truth is I am not sure what to believe, but what I do know is I love to take care and it feels supportive for me to sleep on an earthing mat and I buy earthing chips which can be stuck on all your devices too. I do not need to intellectually understand how this works but it feels a supportive thing to do and I share it here so you can read more and go for it if you would like to. 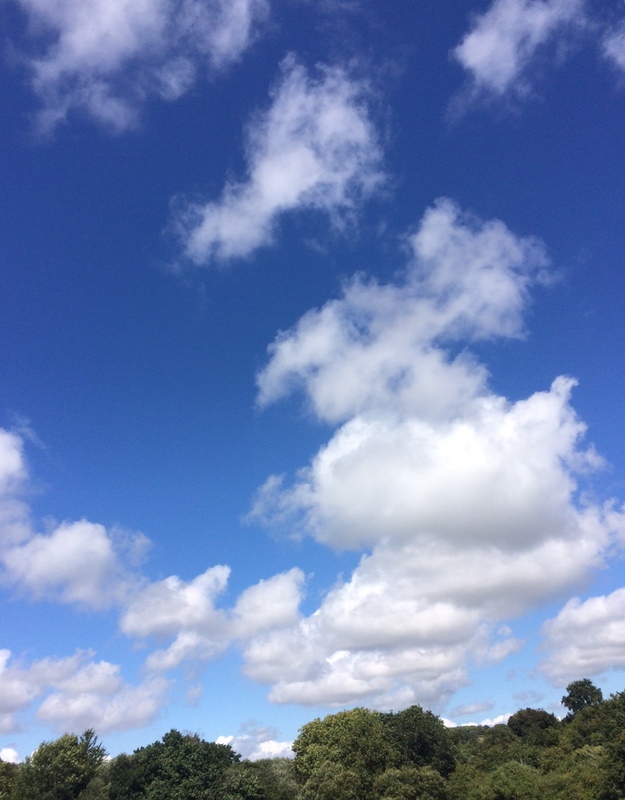 Weather countryside, forest, sea air or just a walk away from your work at lunchtime, it really supports you in all ways to take time out. Sometimes it can be tempting to feel too busy to stop, but ultimately time away restores and provides clarity so you might even come back with more ooomp to finish off the task you started. Also the extra O2 and exercise will support circulation. Yippee for saunas, sweating out toxins, easing up joint ache, limbering up muscles, flushing toxins, cleansing the skin, helping to support the immune system and a good recovery post workout. I also heard it can make your hair shinier by allowing the sebaceous glands on the scalp to secrete! Wahoo. I also sneak in Eucalyptus or Peppermint oil to add even more of a kick, breathing in all the antibacterial goodness. 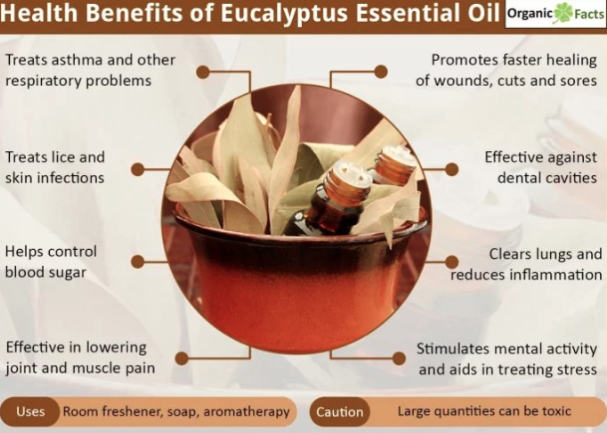 See below some benefits of Eucalyptus oil. We spent a vast amount of time in bed over our lifetime, please invest in a good quality pillow and mattress that will support to keep your spine aligned. Also how do you wind down for bed? I love to relax in short moments which supports me to feel calm and when I remember, I naturally reflect on the day and all the things I enjoyed. It is when we are asleep that the body gets a chance to reset, so do take care of yourself here. We all need an MOT, like our cars, to prevent and maintain good health there are so many amazing treatments to support you! I offer treatments in Bowen Technique, which is great for healing injuries new or old, it realigns fascia, which is an amazing sticky tissue surrounding all our joints, muscles, ligaments and nerves. I find after a Bowen treatment, I train better at the gym, as my posture is straighter and I have better movement of my muscles and joints. Aromatherapy massage and Reflexology are also great for supporting tense muscles too, using bespoke essential oils to match your health needs. I am super passionate about using natural products on my skin and even more passionate to prioritise buying products that have no packaging or packaging that can be recycled. When I looked at all the beauty products I owned it was like opening up a big plastic cupboard that you wish you didn’t open. Zero Waste reports that the majority of beauty products come packaged in plastic, which – when talking about your average moisturiser pot – can take nearly 1,000 years to decompose! OMG!! We can do our bit as consumers, by making choices. 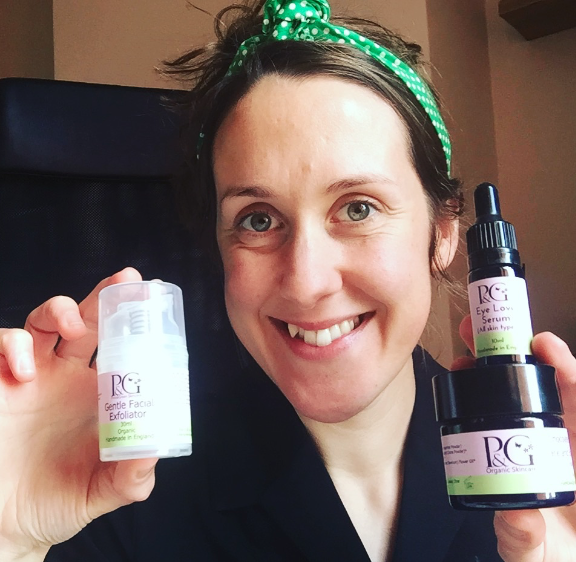 I share with you with you my top favourite natural skin and body care products, that are not tested on animals, made in the UK and made with eco-friendly packaging, wahoo! 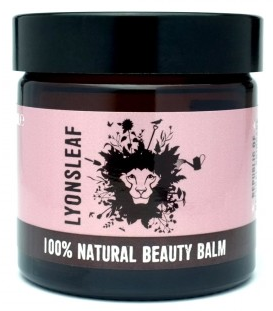 A beautiful cleansing balm with no artificial chemicals, 95% organic, crammed with free radical busting antioxidants, made in Somerset. This comes in a glass pot which can be recycled. I also wash the pots and reuse them for making face cream, or other ideas you see. I am totally convinced, my skin has never felt smoother, more radiant. Use this alongside their 100% cotton muslin cloths. Also available with my Luxury Facial treatment using yummy natural products to leave you beaming. Beautiful, delicately handmade in Ireland, organic, vegan, literally no plastic to be found whatsoever! 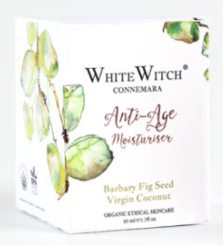 A beautiful moisturiser containing Virgin coconut oil, barbary fig seed oil and carnuba wax. Completely natural, smells amazing, great fun to mix with water and slap on your skin. Highly recommended results. Has actual Cacao in, surely that has got to be good. 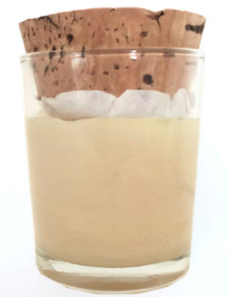 This comes in a glass pot which can be reused, or recycled. Handmade with care in the UK. 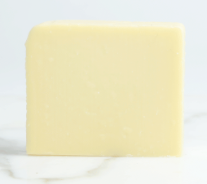 All of their soaps are made from 100% natural, vegan ingredients, cold pressed and lovingly crafted in the Herefordshire countryside. This shampoo bar also has Organic Apple Cider Vinegar along with homegrown Rosemary, infused Extra Virgin Olive Oil, er my scalp is crying out for this! Zero-waste product. This little gem tightens and firms the eye area, reduces under-eye circles and puffiness, repairs damaged skin and is packed full of antioxidants and vitamins. Packed in a glass jar and aluminium lid from a luxury, vegan skincare company, using only natural ingredients and made in Scotland. Lovingly hand-made with certified organic and fair trade cotton free from pesticides and other chemicals. 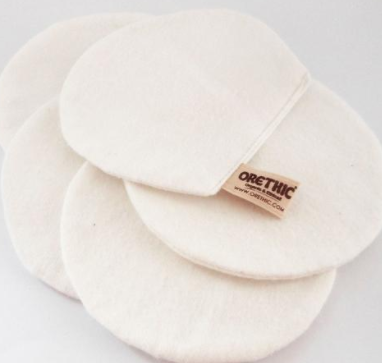 These naturally absorbent pads are a great washable alternative to disposable products. They can be machine or hand washed with Orethic coconut soap or other natural soap. Also selling artisan soaps, handmade in the UK from 100% vegan, natural and organic, ethically sourced, sustainable & cruelty-free ingredients. 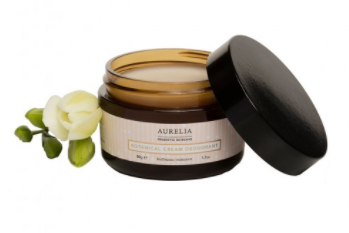 Aurelia Probiotic Skincare’s Botanical Cream Deodorant offers a highly effective gentle and natural alternative with no aluminium which can block and alter sweat ducts. Contains antimicrobial Arrowroot and Kaolin, ready to absorb natural perspiration throughout the day; retaining dryness, inhibiting bacteria and resulting in long-lasting freshness. Shea butter, Tea tree, Eucalyptus and Peppermint, Lavender and Bergamot. Made in the UK. Amazing reviews including by Vogue, glass pot can be recycled too. Natural and organic Peppermint & Lime deodorant, clinically proven 24hr protection. It has been formulated to help naturally guard against odour and wetness with cleansing shikimic acid and moisture-absorbing bamboo powder. A skin-loving combination of essential oils with no nasty chemicals. An average woman uses 12,000 pads/tampons in her lifetime, and it takes centuries for these products to degrade. Mooncup® is the original, soft, medical-grade silicone menstrual cup designed by women as the convenient, safe and eco-friendly alternative to tampons and pads. UK made a product with zero waste. 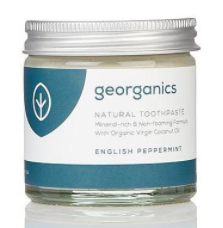 Natural toothpaste blended with organic English peppermint essential oil. Fluoride and SLS free, vegan, zero-waste packaging using a plastic-free jar, comes with a bamboo spatula, outside packaging made from compostable craft paper and vegetable ink. Full natural oral care range including toothbrushes and floss too. Made in West Sussex. By Caring For You Treatments. Offering Luxury Facial treatments in Bristol and Bridport, Dorset. Facial overview – You will recline on a therapy couch and be totally spoilt with a cleanse, tone, exfoliate, facial massage, with crystals and cold stones, followed by a heavenly scented face mask, serum, moisturise and eye gel; plus a shoulder, neck and upper back massage (getting into all those knots and tension) whooo! Because we care for you so much whilst your mask is setting, we will provide an extra massage to either legs and feet, a mini reflexology treatment, or a scalp massage Only using natural organic products with recyclable packaging. We’ve all heard how beneficial exercise is to body, mind & soul, well in my experience it does bring a lot of joy and support health, but the key is finding something you enjoy, the gym isn’t for everyone! I tried to find an online link to stretches that I find supportive, but no one routine is right for everyone, so here are some of my favourite stretches. I recommend tailoring your choice of stretches to what feels right for your body and to what feels comfortable, do not force the range of movement but relax into it. Hold each stretch for at least 20 seconds, don’t forget to breathe! I warm up before exercise with core strengthening, or cycling, then stretch after a full workout, I would love to know what works for you? 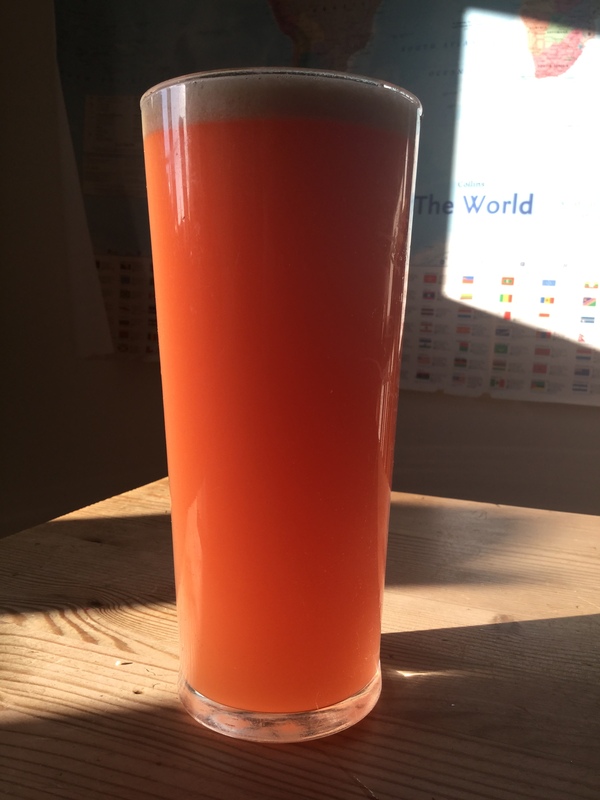 Otherwise known as Soda Crystals are a naturally-occurring product filtered and refined through unique heat processing to maximise their benefits. First popularised by athletes and sportsmen, now more and more people are using them to relieve swollen joints and ease sprains, strains and aching muscles after exercise or physical exertion. Great in a bath to relieve aching muscles, or with a bandage to reduce joint swellings. Word of caution can be slippy when getting out of the bath, also it is suggested to not soak in a bath with Epsom salts, longer than 20-minutes. I do love to feel warm and to be honest, I get super excited to go for a treat to the steam & sauna, especially when It’s cold, rainy and grey outside. My joints feel supported from going and I have felt less cold this winter, with fewer colds. Other benefits can include flushing toxins, cleansing the skin, helping to support the immune system and a good recovery post workout. I also heard it can make your hair shinier by allowing the sebaceous glands on the scalp to secrete! Like I need any more reasons to go as it’s so nice to be warm yippeee! www.balancedview.org is an amazing support network to relax body and mind in an easeful way. This has supported me to find ultimate health, a balance that sees clearly that this physical body is ageing and ‘temporary’ yet the great care to maintain its use, to be of benefit, for as long as possible. How you choose to take of you, is for you to discern, as i said before, we do not need to all go to the gym to be fit, yes that can support, but it’s your choice! We all do it, slouchy tired posture, stressed out tense posture, but it’s great for preventing injuries to be mindful of your posture in a relaxed way. Great to hang loose in whatever way works for you, we are not all supposed to be straight bolt upright, but it’s often small habits over time that may contribute to an injury. Listen in to what your body is asking for, as our natural intelligence will tell us. We have all heard about drinking water and the importance of keeping hydrated, it does contribute towards supporting our muscular vehicles to function fully, although no need to force tons of H20 down. The foods you eat before a workout can play an important role in pre-empting the tissue-rebuilding process once the workout is over. I’m my experience I find it best to eat something small pre-workout such as a green juice or berry smoothie, I then have a healthy protein meal with greens around 20 minutes after a workout. Omega 3,6 & 9, either taken in a capsule or through omega-rich foods (walnuts, oily fish, soya beans, chia seeds, flaxseeds) according to this source can reduce muscle soreness and increase muscle recovery, whoo! We all need an MOT, like our cars, at least once a year! To prevent and maintain good health there are so many amazing treatments to support you! I offer treatments in Bowen Technique, which is great for healing injuries new or old, it realigns fascia, which is an amazing sticky tissue surrounding all our joints, muscles, ligaments and nerves. I find after a Bowen treatment, I train better at the gym, as my posture is straighter, aligned and I have better movement of my muscles and joints. Aromatherapy and massage are great for supporting tense muscles too, using bespoke essential oils to match your health needs. Thanks for reading, happy muscles! Hair removal, you know it, it’s that damn to do list agenda point that never goes! Are you one of these fair-haired jammy beings that never really has to remove hair, or a full-on HAIRY BEAST like me! How do you remove hair? Do you pay someone to sort it in forty-five minutes, or spend a couple hours doing the works yourself and end up with a crooked neck like me! Maybe you choose to fully embrace having hair and being fine with that instead? I have to say a massive thank you to my Mum for ticking off my Xmas list item – an epilator! I get ingrown hairs quite a lot, so an epilator results hold a little longer than shaving and leaves the skin smoother. However, it is a slower method that some and can be a bit painful, although you do get used to it and it gets less painful the more you use it. It’s a quick hair removal method and you are left with smooth skin for up to 4 weeks. It is also nice using a natural product, although some high street strips do have Paraffinum Liquidum in a petroleum-based product, just in case your like me and love the natural ingredients option. Here is a lovely organic natural brand I found Moom. You have to pay someone, you have to pay someone to get up close and personal and remove hair from your bits!? According to this source, the average woman spends up to £23,000 in a lifetime on waxing, oooooo! Find a friend to provide reciprocal waxes? You can do it yourself, I used to and it took me ages as I couldn’t always pull the strip off knowing the pain was coming? Just a reminder to care for your skin after waxing, for example, it is best to avoid water, saunas within 48 hours of waxing. Take care and if needs be avoid waxing over varicose veins, scars, moles, spotty, broken, irritated and sunburnt skin. There are lots of lovely things to apply to your skin after use; I love a good tea tree aloe vera gel. Depending on the hair levels, you may need to shave every day. It does make my skin sore and more ingrown hairs appear. Does anyone else find it awkward to stand in the shower to shave, do you have a chair to sit on? Maybe it’s because I am tall. Are your razors made from plastic? Doh more plastic waste! Here is a cool no plastic fancy safety razor by Edwin Jagger. You will save yourself some ££ by not having to rebuy plastic razors and head replacements. Like waxing, but sounds tastier, need I say more! Apparently, it is made out of sugar, lemon and water, so it is a natural product. It washes off the skin easily, as opposed to the stickiness of waxing. You are paying out for someone to do this. Interesting to hear about DIY sugaring attempts that have been successful or a ready-made pancake day mixture. Smooth skin for up to 4 weeks, often I do this once a week, or once every two weeks depending on the area, for example, armpits. The average epilator is around £50-£100, which lasts a long time! Often epilators come with a variety of head extensions, for ease of use in different areas, for example, the upper lip has a thin head, so only a small area is exposed to the blade, which means the pain is in a smaller area and is more manageable to use. It can be a bit painful, but as I said you get used to it and it is no worse than waxing. Really, does anyone actually remove hair with a tweezer, I met someone once that did their bikini line with a tweezer!? They obvs can’t be that hairy?! Yes, eyebrows work here and those annoying wispy chin whiskers, sorry but we have all them at some point right?! I did hear it is nice for your eyebrows to have this option done. Not ever tried this as a DIY option, but I did have it done in Thailand once and it didn’t seem to last that long for me though, so shaving seemed an easier option. A very long-term solution, targeting the hair follicle right at the root. It reduces hair loss to the point of not needing to shave anymore. Cheaper and time-saving in the long run?! According to this source, It does not work on hair that is grey, white, light red, light brown or blonde. Costs anywhere from £60-£3,200, could be higher depending on the area and number of treatments needed. This is a very easy option, nothing to do but see it all as it is. I have seen it directly on our elder females, a lot of whom grow really long hairs on the chin area (I am happy to share I found one on my chin when I was 27!) so at some point, it will catch up with us. I never forget Julia Roberts at the Oscars when she showed her underarm hair! I couldn’t care less about anyone else’s hair, it’s totally up to you! And let’s face it we won’t have the paparazzi snapping pics of us. I never knew quite how passionate I was about hair removal, truth be told I find it a right bugbear, but it’s funny how those things you resent can actually open out to be a reminder to be super gentle with yourself and question why you putting yourself through this. We can totally choose how we and if we remove hair, your body, your choice. Thanks for reading, happiness isn’t found in removing hair.